Maintenance of trademark registrations; negotiation and contracts for trademark assignments, licenses, etc. With our unrivaled expertise and broad experience through our long history, Yuasa and Hara supports our clients to protect their important trademark rights from the pre-application to post-registration of their trademarks. For example, we conduct trademark search on third parties’ prior registrations before actually filing a trademark application, respond to Office Actions, maintain and manage trademark registrations, and file lawsuits when our clients’ trademark rights are infringed. We also assist our clients in avoiding third parties’ unrighteous obtainment of our clients’ trademarks or execution of such rights against our clients, through trademark investigation and/or filing of an opposition or an invalidation/cancellation trial. 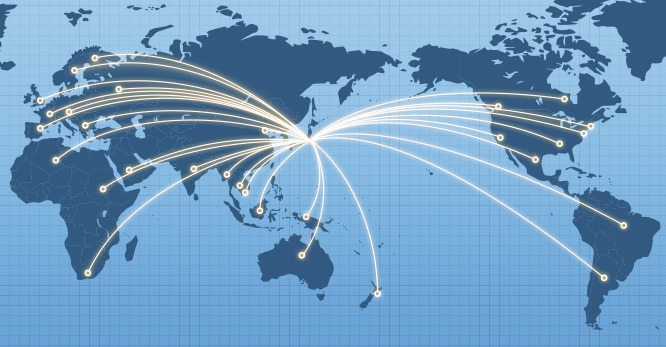 In close cooperation with the patent and law firms abroad, we support our clients all over the world who are willing to export their goods and services into the Japanese market. We have a global network with more than 400 firms with great expertise in trademarks and designs, and we have over 60 years of experience in foreign trademark and design matters including applications, renewals, counterfeit cases, and so on. Our global network covers more than 200 countries around the world. Yuasa and Hara is very much proud of our highly experienced Trademarks Team, which provides you with the industry-leading services and sincere support to meet your needs and wants, based on their deep expertise and rich experience and utilizing Yuasa and Hara’s global network. A trademark is a mark or sign that is used to distinguish goods, services or businesses provided by the trademark owner from those of the third parties. In general, a trademark is composed of letters, a device, a 3-D shape or a combination thereof. To be recognized as a trademark, the mark/sign should be able to distinguish the goods, services or businesses provided with the mark/sigh from those from the others. From April 2015, other types of trademarks such as sounds, positions and moving images can be registered in Japan. Please note that a novel and creative 3-D shape that has not been disclosed may also be registered as a design. For further information, please refer to the “Designs” page. After the filing of a trademark application, the examiner will examine whether the applied-for mark satisfies all the requirements for registration, for example, if the mark can distinguish the goods/services from those of others, if there are no prior similar trademark applications, and so on. 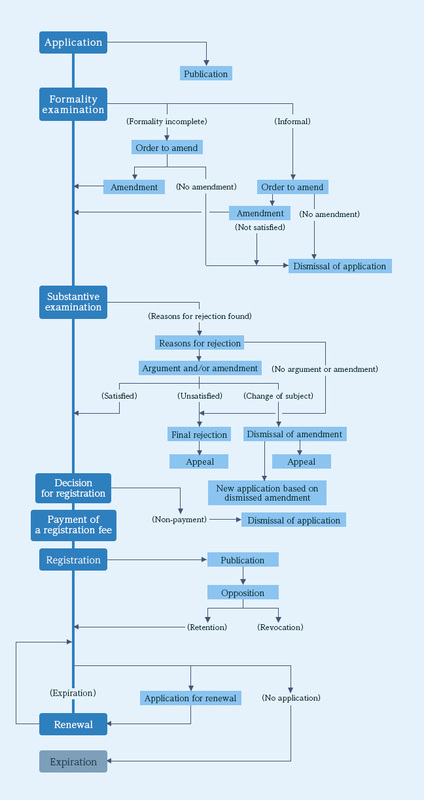 If the examiner issued a Preliminary Rejection (Office Action), which explains about the obstacle(s) for trademark registration, the applicant needs to remove the obstacle(s) by, for example, filing a written opinion, making amendment, filing a canceling action against the cited trademark, etc., according to the reason(s) for rejection. Once the trademark is registered, the applicant is granted with a Trademark Right, an exclusive right, and becomes a trademark owner. The trademark owner can impose an injunction against unauthorized use of marks similar to its registered trademark. As in the cases of other intellectual properties, a trademark right is granted according to the law of the country or region in which the trademark application was filed. That is, for example, even if a trademark registration is granted in Japan, it does not mean you also have rights in other countries or regions. A trademark registration is necessary in each country or region where you want to provide your goods/services using the mark or grant licenses for use of the trademark.